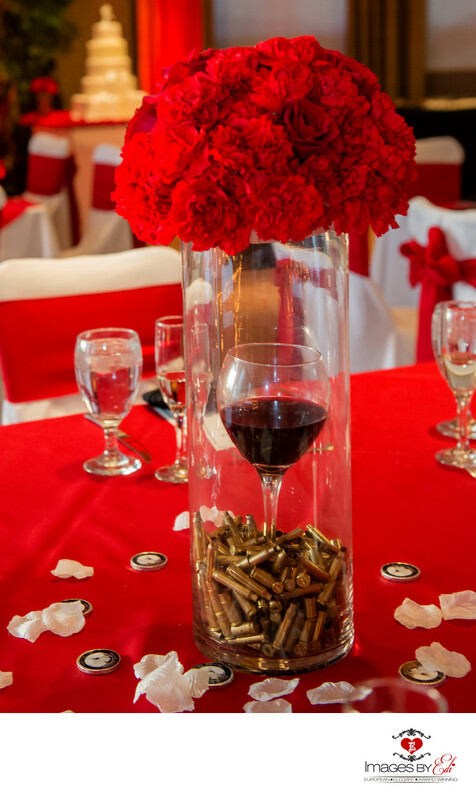 Dragonridge Las Country Club was the perfect venue for this Bonnie & Clyde themed wedding. The groom walked down the aisle with the tune of the Star Wars death march. 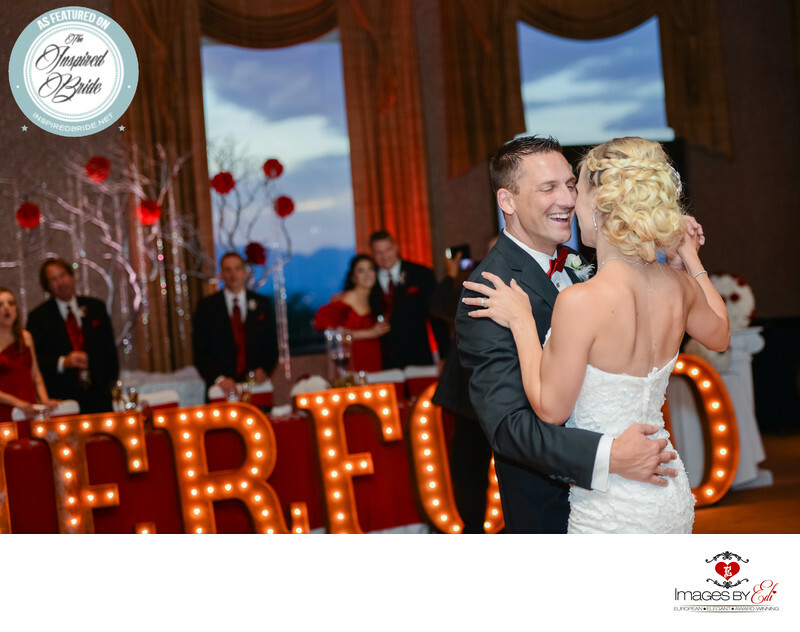 While the bride walked down the isle, the whole wedding party was doing the Harlem Shake. After the ceremony and pictures outdoors they entered for the reception. The decoration at the reception room was very unique. 3-foot tall Vintage Marquee letters spelled the couple's last name and were custom made wit rustic finish. 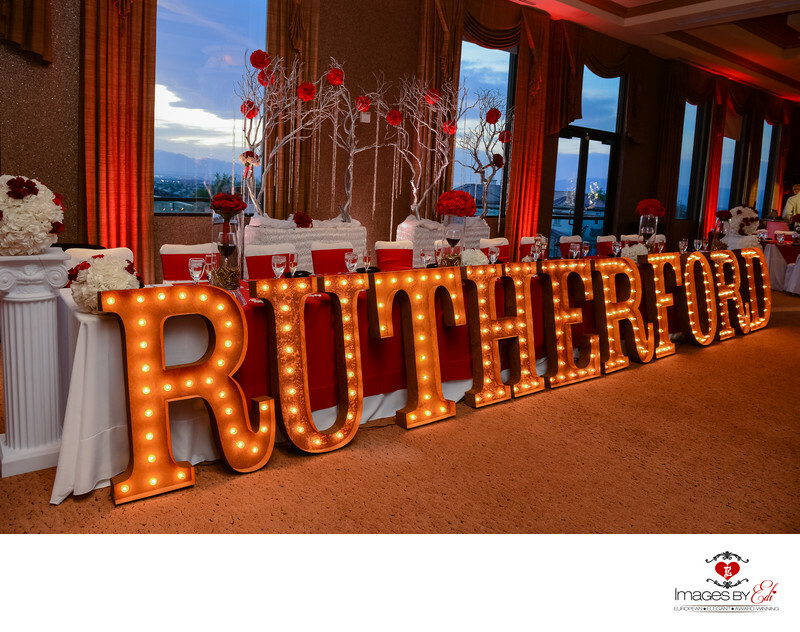 The letters were provided by LED Unplugged, while all the decoration was done by the creative Julie Reed Events. Location: 552 SOUTH. STEPHANIE STREET, HENDERSON, NV 89012.